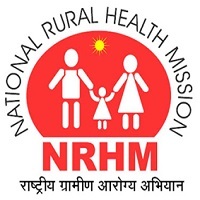 Eligible Candidates are invited to a walk in interview who desire to working in mission mode engagement on contractual basis under NUHM, Assam. 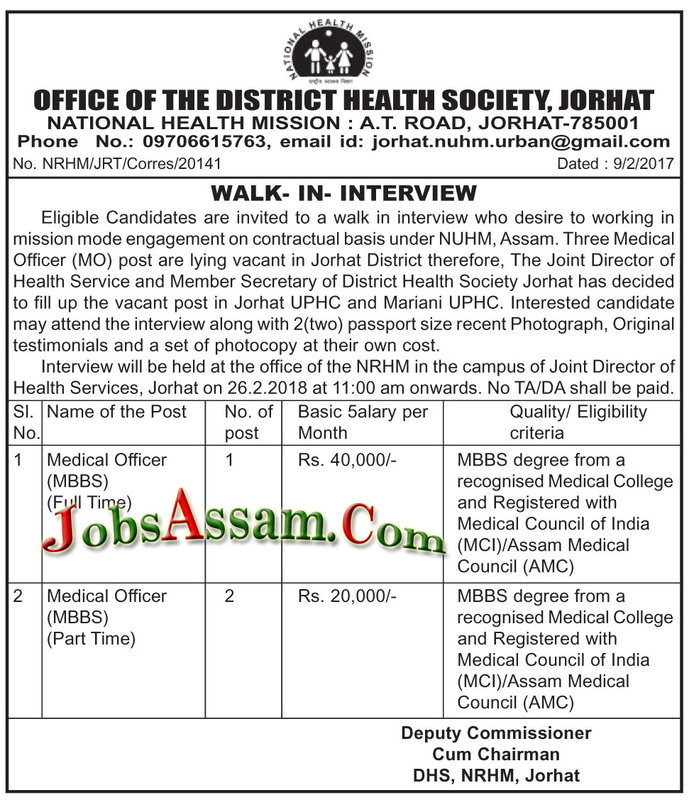 Three Medic; Officer (MO) post are lying vacant in Jorhat District therefore, The Joint Director of Health Service and Member Secretary of District Health Society Jorhat has decide to fill up the vacant post in Jorhat UPHC and Mariani UPHC. Qualification: MBBS degree from a recognised Medical College and registered with Medical Council of India (MCI)/ Assam Medical Council (AMC). How to Apply: Interested candidate may attend the interview along with 2 (two) passport size recent Photograph, Origin; testimonials and a set of photocopy at their own cost. Interview will be held at the office of the NRHM in the campus of Joint Director of Health Services, Jorhat on 26.02.2018 at 11.00 am onward.